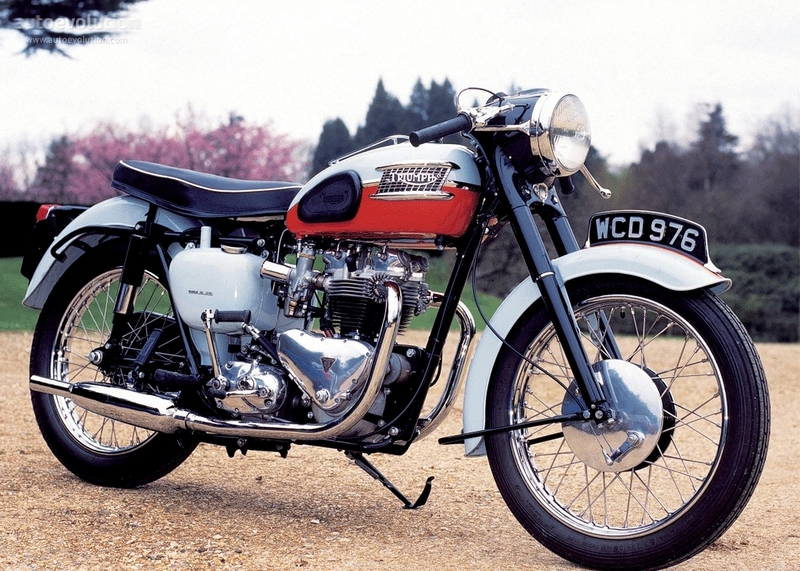 From 1931 to 1969, a definitive list of some of the most legendary bikes whose wheels ever graced both highways and backroads. Read to the end to see who won the title of our readers' favorite! Inducted into AMA's Motorcycle Hall of Fame, this model became the dominant layout for sportbike engines. Known infamously as the 1st "superbike," the cycle was also presented as a feature at the Art of Motorcycles Exhibition and named among Discovery Channel's Greatest Motorbikes Ever. 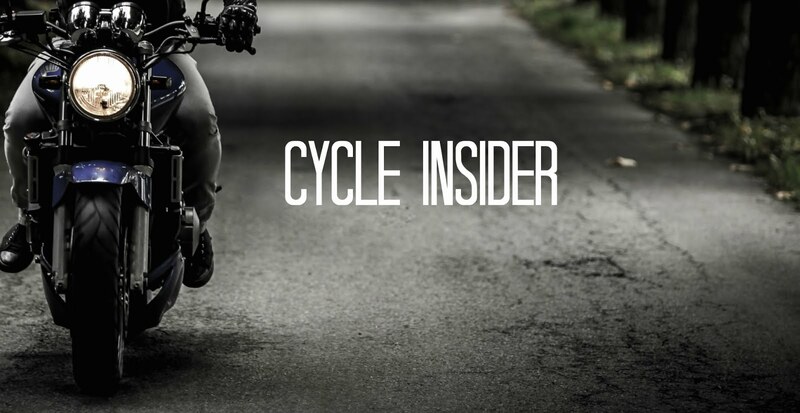 A number of famed cycle enthusiasts claim the C750 as the first bike they ever owned, including Cycle World editor David Edwards. With an engine output of 46 bhp at 6500 rpm, the Bonneville was proudly launched by Triumph as "The Best Motorcycle in the World." Named to honor Texas racer Johnny Allen of Utah's Bonneville Salt Flats, the design was the last that Edward Turner would ever draft. Though based almost entirely on pure Tiger T110 essence, the named designation of "T120" was intended to suggest much faster speeds - of up to 120mph. 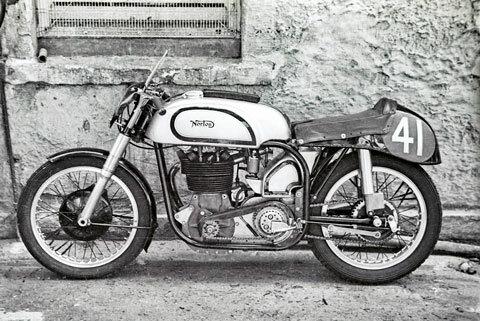 A desert racer based on Volkswagen's classic Beetle design, the Norton Manx was a British-born cycle that would eventually become a staple in privateer racing environments. Playing a significant role in the development of post-WWII racing, she remained a strong and active presence in the Isle of Man TT races, participating in virtually every single event from 1907 through the 1970s. This is a Fact not a Slogan." 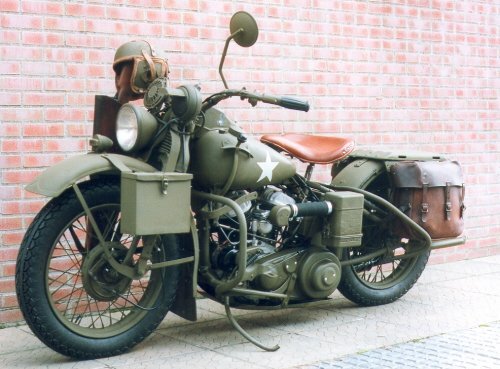 Based on Harley's original WL civilian model, the WLA was designed and produced to US Army specifications during the World War II era. Interestingly, all WLAs produced after the attack on Pearl Harbor in 1941 were suddenly required to be manufactured with a distinct serial number, indicating 1942 production origination. She was utilized largely for military message delivery duties, and soldiers liberating German-occupied Europe on the cycles quickly gained the machine her great pseudonym - The Liberator. 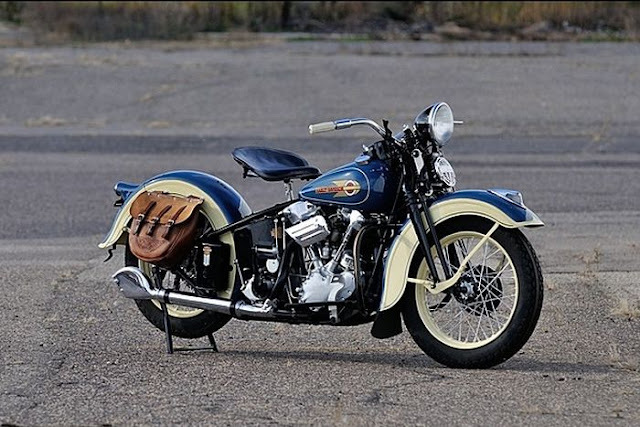 First produced by Hendee Manufacturing Co., the Indian Chief model introduced at the start of the 1940s was marketed as the "Big Twin" to its older sibling, the smaller and less powerful Scout. With a frame redesign in 1940 that included plunger rear suspension, the Chief was the only preexisting Indian model to be revived and reproduced post-World War II. Though the modern Indian brand is now a subsidiary of Polaris Industries, the Chief's personality and reputation remain the same, often presenting with midcentury vintage aesthetics - including her unmistakable skirted/valanced fenders. The idea for the '39 Ariel Square Four was first born in 1928 by the mind of Edward Turner, designer of the revolutionary 1930s Triumph Speed Twin. The dual-transverse crankshaft idea (attempting to fit four vertical cylindrical engines into a space that had a hard time fitting two) took many manufacturers aback. 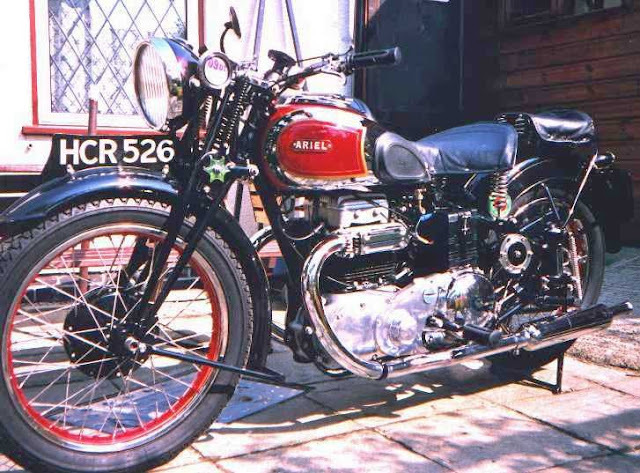 Turner originally presented the design to BSA, but when they rejected his proposal, Ariel soon swept in to adopt it. Production launched at London's Olympia Show, and in 1939, the Antsey-link plunger rear suspension was patented and presented to the public with a hugely positive response. A sensation when presented at the 1937 Motorcycle Show, the Speed Twin (also designed by the genius Edward Turner) proved itself a beacon of hope for a financially collapsing Triumph brand. The model provided a much more lightweight and narrow bulkload across the crankcase, something many preceeding sketches failed to eliminate. Sadly, the English Triumph factory was bombed and destroyed by German forces in 1941 - along with the entirety of Triumph's designs and technical records. 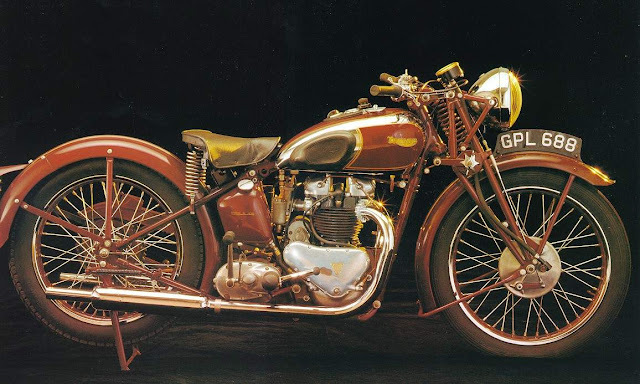 But the Speed Twin then proved itself truly golden- the great Triumph revival is often credited to the Speed Twin's prominent success both before and after World War II. Nicknamed "The Knucklehead" due to the "clenched fist" appearance of its rocker arm nuts and pushrod tubes, Harley's 1936 EL took the world by storm with its overhead valve engine. Yet, its success didn't truly proliferate until nearly a year after its initial launch. Test versions of the EL were kept largely secret, with experimental models test ridden away from busy roads. Fear of potential leaks from the radical new recirculating oil system didn't help the situation, keeping the bike out of HD's 1936 catalog. While "sump oilers" were used in cars and high-end cycles of the time, compacting a process like this into a simple, streamlined look was at first a struggle, but eventually a massive success. The 1st Harley with a duplex-tube frame and 4-speed gearbox, the EL continues to prove iconic even today. 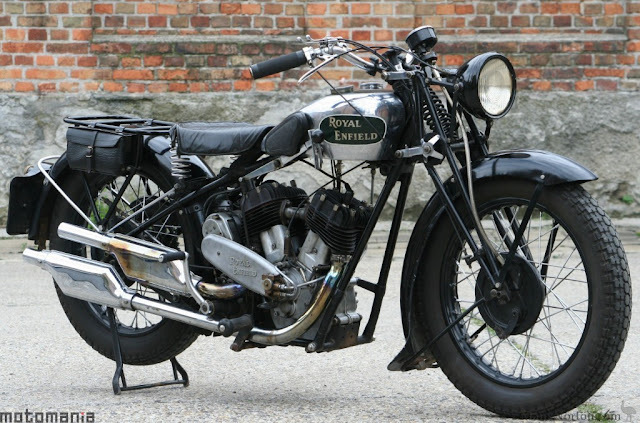 Our #1 throwback: the incredible 1931 Royal Enfield Bullet. The very first Royal Enfield model to feature the Bullet name, this four-stroke engine was originally imagined as a single, but was eventually reconfigured to V-Twin. Ever since, she has proven herself the ultimate icon, boasting the longest running continuous production record of any cycle to date. The Bullet is still actively manufactured today. Upon her original test runs at the '48 International Six Days Trial, she stole the spotlight, with multiple riders earning medals that year. With 80+ years of reliable production and sales, we think it's pretty clear that this timeless bike will only continue her legacy in years to come. Find some of these icons for sale on Cycle Trader today! 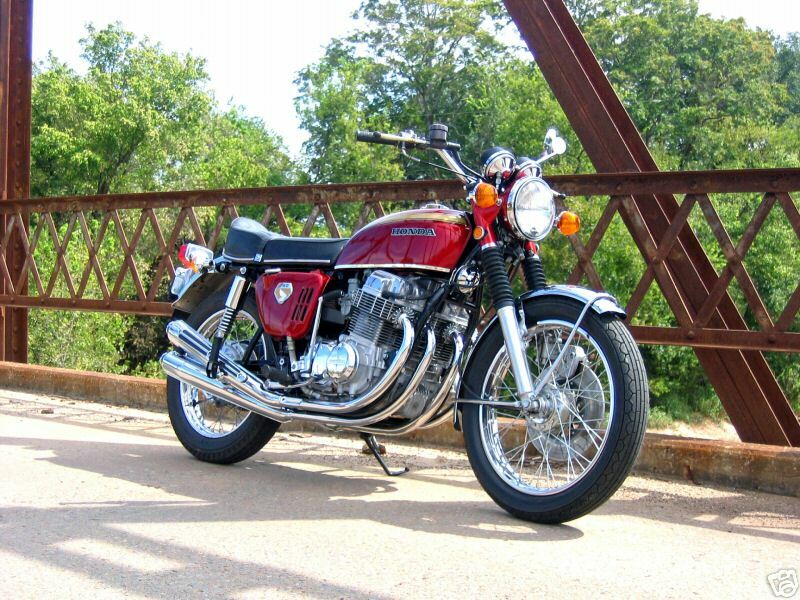 Honda's 1969 CB750 Four is our readers' favorite out of these vintage bikes! 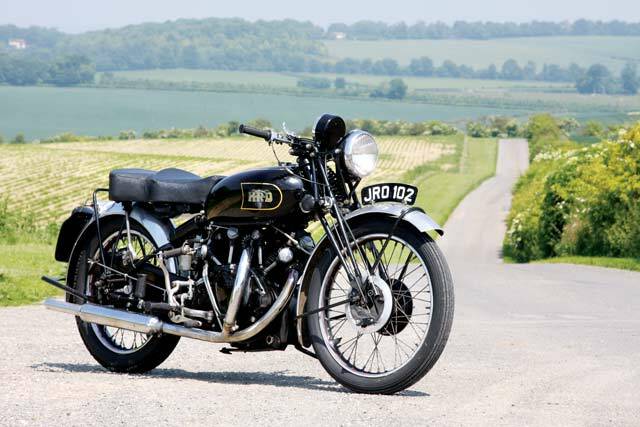 I know nothing about Royal Enfield's, but if the picture of the 1931 Royal Enfield Bullet you have posted in the article is a single as you state in the article, I've never seen a "single" that so closely resembled a V-twin in my life. Better check your picture files because I believe you have attached and associated the wrong picture to the Bullet. I OWNED A HONDA CB750, USE TO RAISE WITH A TRIUMPH BONNEVILLE AND DROVE SOME OF THE OTHERS NBIKE. NICE TO REMEMBER HOW GOOD THESE BICES WHERE.